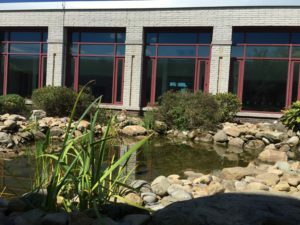 As the summer months go by, not a single student walks through, stares at, or spends any time with the courtyard in the high school. So how does it go from overgrown to tidy at the start of the school year? 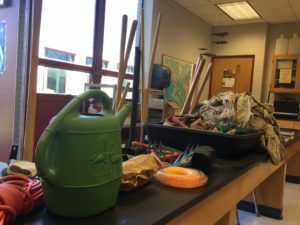 The upgrades come through Mr. Shriver and his Environmental Sciences class. 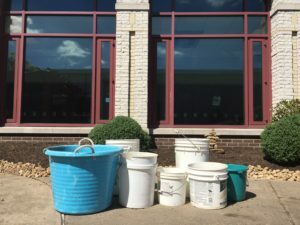 “The whole purpose of doing this is to make the courtyard more attractive,” Shriver said. Students, like those of the mixed grade level period 3 Environmental Sciences class, spend a small amount of class time getting it done. 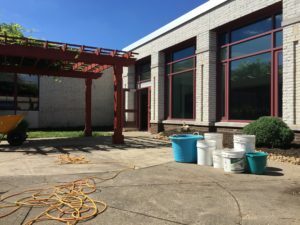 “There’s 2 times a year when we do maintenance, Fall and Spring,” Shriver says, showing that the courtyard will not remain overgrown, but become redone in the Spring. 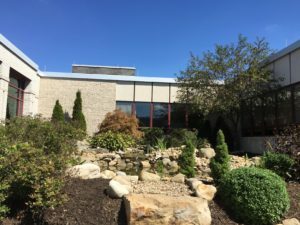 The courtyard will be accessible Thursday, September 15th at the open house. A mid-day shadow recedes from the courtyard pond after the Environmental Science class finished the cleanup efforts.